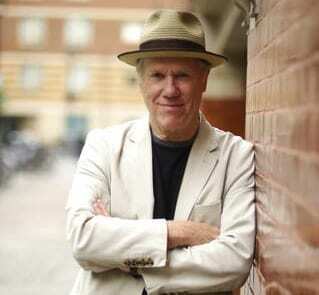 Loudon Wainwright III has had a vibrant 41 year career in the music business that most singer-songwriters only aspire to. MOJO Magazine calls Wainwright “lyrically compelling and emotionally overpowering.” He began his career as a folk singer-songwriter, in the late 60’s, writing humorous, yet honest, autobiographical songs. In 1972, he wrote “Dead Skunk,” in 15 minutes and it landed him in the Top 40 charts. He has always been a concert favorite with his engaging stage presence and catchy tunes, and has a well established international fan base. During his career, he has released over 25 albums, been nominated for three Grammy Awards, been an accomplished actor appearing in numerous movies and television shows, and watched his children – Rufus, Martha, and Lucy Wainwright – find their own success in the music business. His songs have also been covered by many other musicians. His 2009 album “High Wide and Handsome: The Charlie Poole Project” won the 2010 Grammy Award for Best Traditional Folk Album. With his most recent studio album, “Older Than My Old Man Now”, released this year, Loudon called on family and friends so the list of guest singers is impressive. For Deep Roots, Loudon will be performing a special 90-minute acoustic set on Saturday September 29th in Convocation Hall.